Running Press Kids, 9780762465248, 32pp. Science and art come together in this colorful and empowering picture book about a strong minded girl scientist and her artist family. Is it possible for science and art to really mix? Georgia wants to be a scientist, and a great one at that. But in order become a great scientist, she must first create her own, unique experiment. Her mother, father, grandma, and brother all want to help, but they're artists. How could they possibly help her with science? Everyone knows art and science just don't go together! As Georgia struggles to create her unique experiment, she eventually learns that sometimes science, too, can be a work of art. Zoe Persico is an illustrator with a love for everything cute, colorful, and full of whimsy. She finds inspiration for her work in many places, but some of her favorites include hiking through nature, watching storms roll by, and playing Dungeons & Dragons. 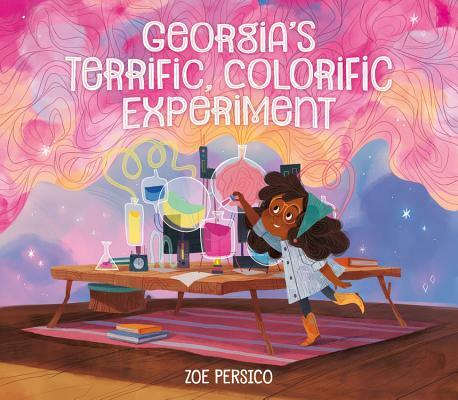 Georgia's Terrific, Colorific Experiment is her authorial debut. She currently resides in Michigan.